Nike Basketball is will be showing love to the youngsters with a new exclusive kids release of the PG 2.5. Dressed in a Opti Yellow, Blue Hero, Black, University Red, and Metallic Sliver color scheme. 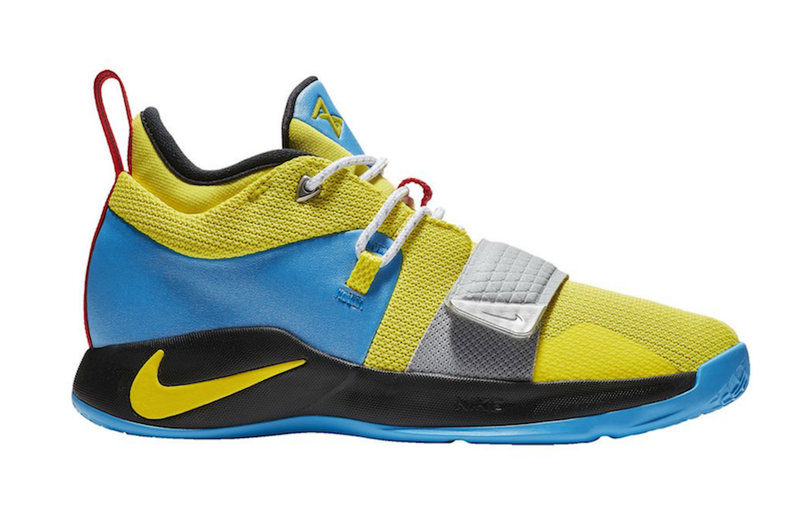 This Nike PG 2.5 is highlighted with a Yellow and Light Blue upper. Other details includes White laces, Silver midfoot strap, Red heel tab, and Black detailing on the inner liner and midsole. Look for the Nike PG 2.5 “Optic Yellow” to release in kids sizing on December 1st at select Nike Basketball retailers Nike.com.